Do you long to have shiny, silky and strain hair? If yes, you should consider trying keratin hair treatments. Keratin treatment is a process that changes unruly and fizzy hair into straight, shiny and good looking healthy hair. It entails the use of highly effective hair products and tools to straighten your hair. The keratin in the products give the hair a silky and shiny look. Keratin is naturally occurring protein found in nails and hair. A major part of hair is made up of keratin proteins that work as external protection and internal structural protein that protects and maintain hair health. However, the level of keratin in hair is affected by environmental factors like water, dust, sun and heat. This causes the hair to become lustreless, dull, thin and fizzy. Our keratin hair treatments are formulated to work effectively at restoring hair health and the natural glow. There are other numerous benefits that make our keratin hair treatments an ideal choice for you. Why Choose Our Keratin Hair Treatment? It restores frizzy hair making it straight, beautiful and shiny. The keratin treatment is used alongside other ingeridents that enhance hair smoothness and luster. Our keratin hair treatments are formaldehyde free. The keratin hair treatment is done in a few simple steps. It starts with washing the hair with a specially prepared solution that eliminates all hair impurities. Hair impurities act as obstacles that may prevent the keratin effects from reaching the hair effectively. Once the hair is ready, the formaldehyde free keratin treatment is applied on your hair and the hair is left to dry. Every step is executed professionally so, you require relative less time to get the job done. The keratin hair treatments can last for up to 12 weeks. 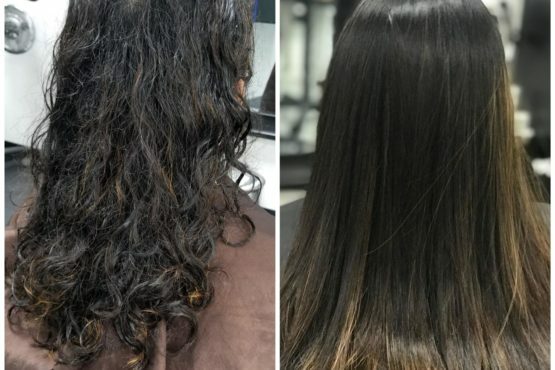 So, if you are in need of quality keratin hair treatment in Dublin, Pleasanton and Blackhawk, visit ShobhanaBeauty Studio in San Ramon, CA and learn more about their unique hair treatments can make a difference in how your look and feel.